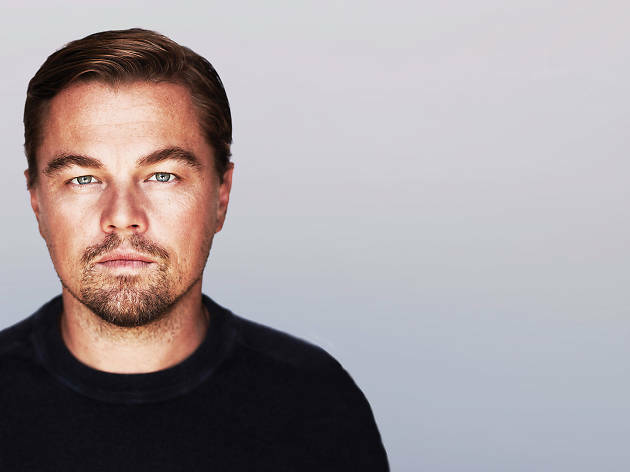 As brutal epic The Revenantis released, is Leonardo DiCaprio finally going to bag himself an Oscar? And does he even care? Cath Clarkemeets him. 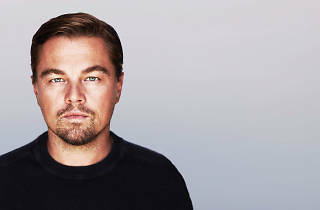 Hi, I’m Leo.” In a hotel room in Claridge’s, Leonardo DiCaprio walks over from the window where he’s been puffing on an electronic cigarette. He’s smiling. A good sign. The actor is famously private and once walked out on a journalist who was rude to him. At 41, he is no longer the impossibly beautiful boy he was in Romeo + Julietand Titanic. I’m more dazzled by his knitwear – he’s wearing a navy blue cashmere jumper so soft and expensive-looking that I have to resist the temptation to stroke him. You put yourself through a lot making The Revenant. In one scene your character is so hungry that he eats raw liver. Did you do that? Eat raw liver? It’s a grueling movie to watch. On a scale of one to ten, how tough was it to make? You were filming out in the elements. Any near misses? Are you an outdoorsy, get-up-at-5am-for-a-hike kind of guy? You’ve had a few close shaves with death on your travels. You survived a shark attack in South Africa. And before that there was an incident with a parachute that failed to open. What goes through your mind in that situation? So you didn’t see images of your life passing before your eyes? Has surviving made you less afraid of dying? What would it mean to you to win an Oscar? You were 19 when you were nominated for an Oscar for What’s Eating Gilbert Grape. Did you have a speech ready? You grew up in a tough part of LA, and have said you felt like an outsider as a kid. Has that feeling stayed with you in Hollywood? Do you ever still feel like that? Do you feel blessed now? Which of your early films are you most fond of, looking back? People talk about the difference between being an actor and being a movie star. You seem to have spent your thirties trying to shed the skin of a movie star with the kind of films you make. Is that fair? How do you look back on the Leo-mania years? The Leo-mania years, around the time ofTitanicin the late ’90s. It’s what the internet calls them. You’re 41 now. What’s still on the to-do list? You supported President Obama. You’re a committed environmentalist. Would you consider running for political office? The worldview in The Revenant is pretty bleak: people do terrible things to each other and nature is indifferent. Are you a pessimist?